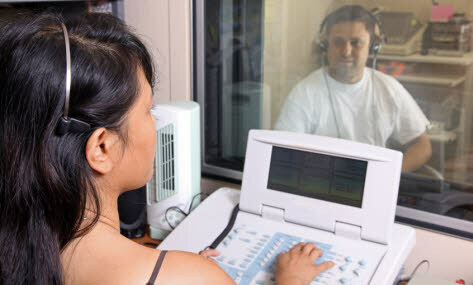 Communications Sciences and Disorders programs prepare students for meaningful and rewarding careers in the field of speech-language pathology or audiology. Such programs can prepare graduates to work in a school-based setting or health care setting. Speech-language pathology deals with the research, assessment, and treatment of various speech and language disorders. As a field of study, it includes but is not limited to such areas of study as language, voice, articulation, fluency, and developmental disabilities. Ideally, one would already hold a Baccalaureate degree in Communications Sciences and Disorders before pursuing a Master’s in this field. But many institutions offer some sort of “leveling program” to those interested in pursuing a Master’s but holding a Bachelor’s in a different discipline. The American Speech-Language-Hearing Association (ASHA) is the major national accreditation agency for Communication Sciences and Disorders programs in the US.